Ellen Fairclough gets sworn in as Canada’s first female Cabinet Minister. The Rt. Hon. Ellen Louks Fairclough. The addition of the title “Rt. Hon.” to her name may appear strange given that, in Canada, that title has normally been reserved for prime ministers, governors general and justices of the Supreme Court of Canada. And most of them have been men. However, on Canada Day in 1992, Queen Elizabeth II bestowed that title on Ellen Fairclough, almost 30 years after she left Parliament. It recognized her life of many achievements, the most notable being that she was the first woman to enter the federal Cabinet, on June 21, 1957. She was also elected to the House of Commons five times, a record unmatched by any other woman during the 1950s and 1960s. In addition, Fairclough was responsible for Indian Affairs when, in 1960, many Aboriginal Canadians were given the right to vote. In January 2003, she celebrated her 98th birthday. She was born Ellen Louks Cook, in Hamilton, Ontario, on Saturday, January 28, 1905, the third of five children in a fifth-generation Canadian family. On her mother Nellie’s side, she was descended from Huguenots and United Empire Loyalists who moved to Norfolk County from Vermont in 1790. Her paternal ancestors emigrated to Ancaster, Upper Canada, in 1802, from Lancaster, Pennsylvania. Her father, Norman Ellsworth Cook, had farmed in Norfolk County, but the light soil did not produce sufficient crops and, in 1904, he moved his family to a house on the western edge of Hamilton. In her memoirs, Fairclough states, “Although we never went hungry, we were not an affluent family. Money was often hard to come by, especially when ‘hard times’ descended on Hamilton, which they seemed to do periodically.” When Ellen was nine, the family could not even afford each child’s school fees of 10 cents per month. A life of long hours of work began early. When Ellen was 13, a flu epidemic swept the country. When most of her family fell ill, she was spared and, while caring for four very ill people, also had to prepare three meals a day for her father and two boarders, make beds, and give medication and other general nursing aid. She usually obtained high marks at school, but by today’s standards did not receive a lot of formal education. Her family could not afford “collegiate,” so instead she enrolled in a commercial studies program. Since taking a streetcar would cost five cents, she walked to school. She would learn secretarial work, which would pave the way for a series of bookkeeping jobs. Sundays consisted of morning attendance at Zion Methodist Church, bible study, Sunday school in the afternoon, playing the piano and singing – but only religious music. In 1921, at the age of 16, at a church-related social function, she met Gordon Fairclough. Ten years later they would elope to marry in Buffalo, New York. Their only child, Howard, was born 10 months later. In those years, Fairclough does not appear ever to have thought of someday trying to be elected to Parliament, but she did serve in the trenches of the Conservative Party. She and Gordon joined the Junior Conservative Club and she would become the president of the local Young Conservatives organization and vice-president of the Young Conservatives of Ontario. During a 10-year period, Fairclough held many clerical and bookkeeping jobs. In Saturday’s Child: Memoirs of Canada’s First Female Cabinet Minister, Margaret Conrad has written that “Ellen was an ambitious and enthusiastic recruit to the new bureaucratic processes, increasingly making her mark by her ability to ‘fix’ people’s muddled financial records.” She took several correspondence courses and earned accreditation as a general accountant, making her part of a very male-dominated profession. Her accounting practice grew and she became the Secretary for the Canadian Wholesale Grocers’ Association. Those duties included visits to Ottawa to meet departmental officials and members of Parliament. John Hinckley is found not guilty for the attempted assassination of the USA President Ronald Reagan. John W. Hinckley, Jr., who on March 30, 1981, shot President Ronald Reagan and three others outside a Washington, D.C., hotel, was found not guilty of attempted murder by reason of insanity. In the trial, Hinckley’s defense attorneys argued that their client was ill with narcissistic personality disorder, citing medical evidence, and had a pathological obsession with the 1976 film Taxi Driver, in which the main character attempts to assassinate a fictional senator. His lawyers claimed that Hinckley had watched the movie more than a dozen times, was obsessed with the lead actress, Jodie Foster, and had attempted to reenact the events of the film in his own life. The movie, not Hinckley, they successfully argued, was the actual planning force behind the events that occurred on March 30, 1981. On that day, in front of the Washington Hilton, Hinckley had fired six shots at the president, hitting Reagan and three of his attendants, including Press Secretary James Brady, who was shot in the head and suffered permanent brain damage. The president was shot in the left lung and the .22-caliber bullet just missed his heart. In the aftermath, Hinckley was overpowered and pinned against a wall, and President Reagan, apparently unaware that he’d been shot, was shoved into his limousine by a Secret Service agent and rushed to the hospital. The president fared well, and after 12 days in the hospital he returned to the White House. 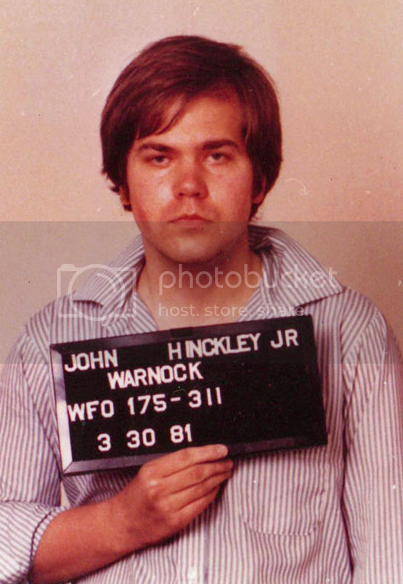 John Hinckley was booked on federal charges of attempting to assassinate the president. He had previously been arrested in Tennessee on weapons charges. The June 1982 verdict of “not guilty by reason of insanity” aroused widespread public criticism, and many were shocked that a would-be presidential assassin could avoid being held accountable for his crime. However, because of his obvious threat to society, he was placed in St. Elizabeth’s Hospital, a mental institution. In the late 1990s, Hinckley’s attorney began arguing that Hinkley’s mental illness was in remission and thus he had a right to return to a normal life. Beginning in August 1999, he was allowed supervised day trips off the hospital grounds and later was allowed to visit his parents once a week unsupervised. The Secret Service voluntarily monitors him during these outings. If his mental illness remains in remission, he may one day be released. The USA captures Guam from Spain. The Tauranga Campaign of the New Zealand Land Wars ends. China formally declares war on the United States, Britain, Germany, France and Japan. Battle of Vinegar Hill: The British Army defeats the Irish rebels.